The diamond Cardinals have had short turnarounds this week to prepare for the next foe. 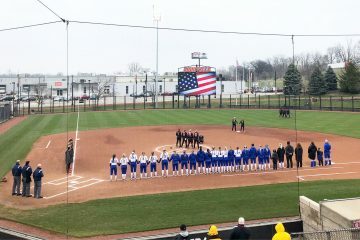 The team took a break from conference play to face off with the Lipscomb Bison (a game postponed from early March) on Tuesday at Ulmer and traveled to Bowling Green to face the Hilltoppers on Wednesday. 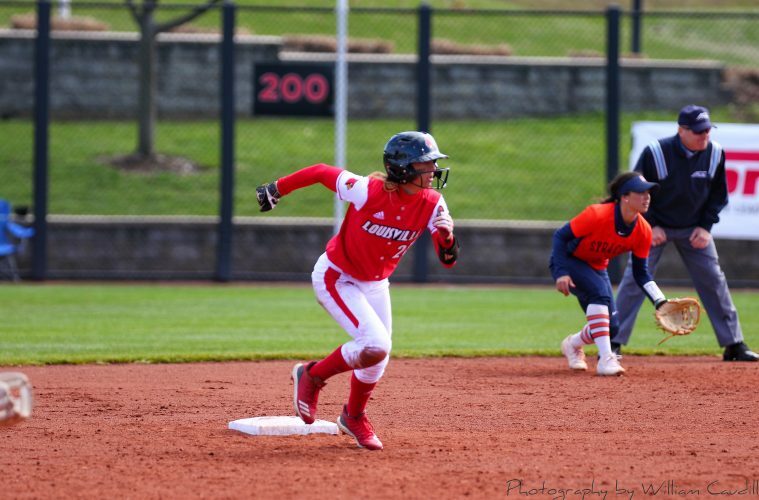 The intrigue for this matchup began when UofL managed to score first when Sidney Melton tagged up on a SAC-fly to CF by Megan Hensley from second base. There was no hesitation by Melton when she approached and rounded third base either to arrive safely at home…. the ball in the hands of the SS near third base. The Bison responded in the next half inning with a 2 run homer to take the lead. Lipscomb would increase their lead 4-1 scattered over several innings. The Cards claw their way back in to tie it up and force extra innings after Charley Butler’s 2 run single in the 5th and Hensley homered in the 7th. It was her 4th homerun of the season. 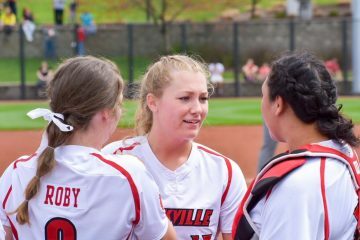 Hensley started in the circle for the Cards, pitching for 2.0 innings and gave up 1 hit and 2 runs. Danielle Watson pitched 3.0 innings, gave up 1 hit and 1 run and Taylor Roby gave up 3 hits and 2 runs in 3.0 innings of work. 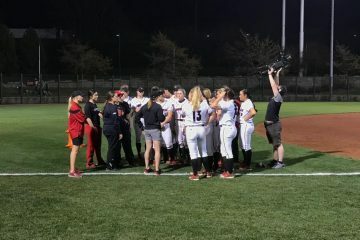 After loading the bases, the Bison plated the winning run on a wild pitch and retired the Cards in order in the bottom of 8th to seal the victory for a veteran Lipscomb squad. 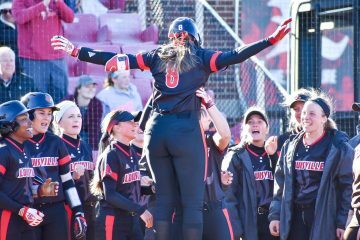 UofL scored 3 runs in each of the opening 2 frames and converted 7 hits into 7 runs against the Hilltoppers, ending their 11 game win streak. The Cards capitalized on a hit, 3 walks and an error to jump to a 3-0 lead. Freshman Taylor Roby drove in a pair of runs and picked up the win in the circle (7-1). Watson led off the seventh by driving a shot over the left field fence. The sophomore’s first career home run made the final score 7-2. 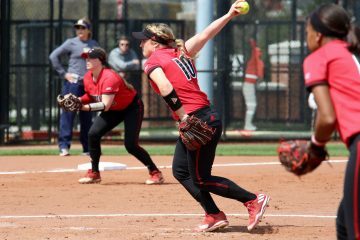 Louisville (23-13, 4-5 ACC) will return to Ulmer Stadium this weekend to face 2018 National Champion, third-ranked Florida State in a three-game series starting Saturday at 1 p.m. Sunday at 1 p.m. and Monday at 7 p.m.